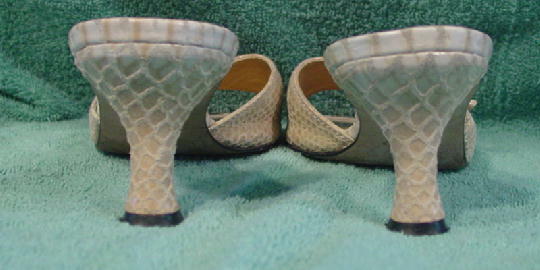 These embossed snakeskin pattern leather slides are by Stuart Weitzman and were made in Spain. They are in dark bone and various shades of brown. 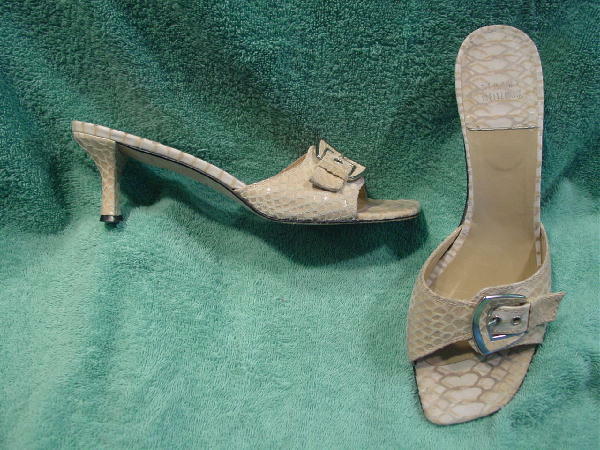 The toe bed is angled, the vamp has a faux buckle, and they have leather soles.